Yesterday, I ate lunch with Sidney’s family out on the patio at a popular Myrtle Beach restaurant. With temperatures reaching into the 70s, it was a great afternoon enjoying the atmosphere that River City Café provides. 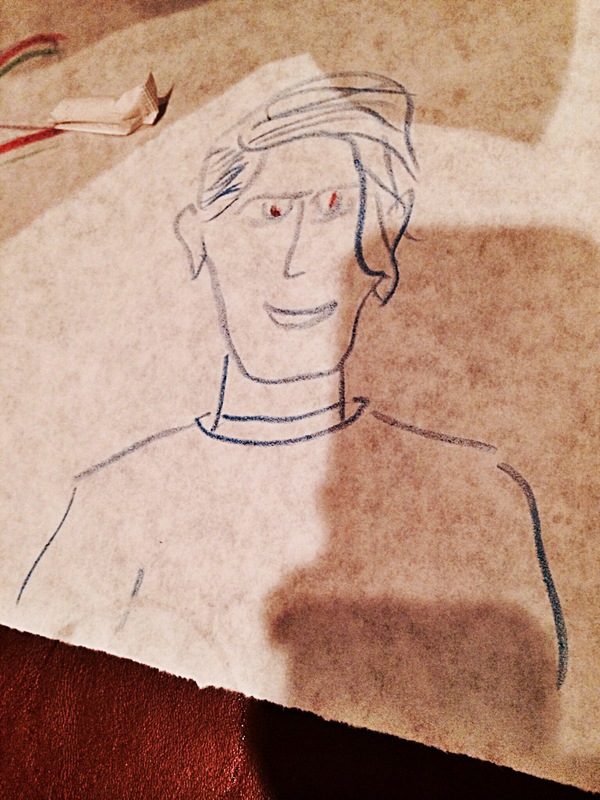 Part of the charm of the place is the ability to use provided crayons to color on the paper table cover. My niece and nephew certainly let their creative juices flow over the course of the lunch. 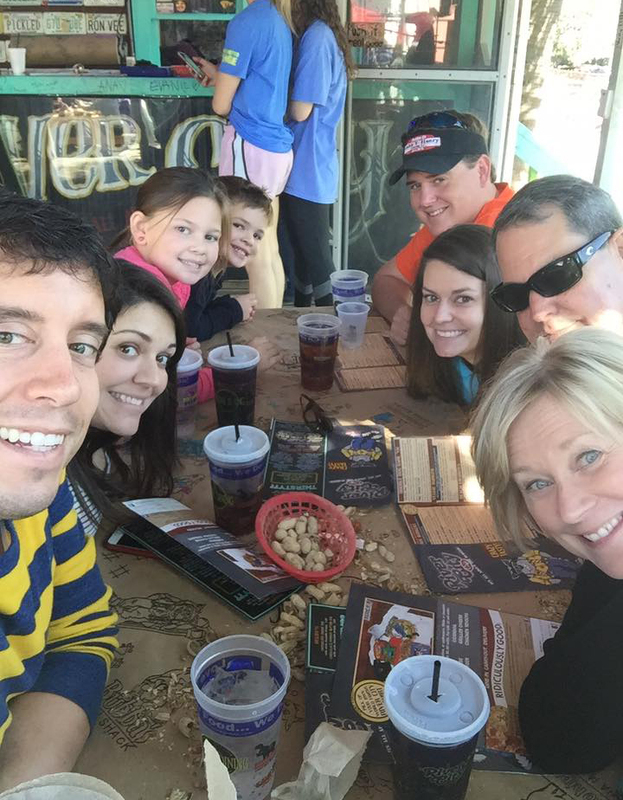 Enjoying our lunch at River City Cafe during the gorgeous Myrtle Beach afternoon (photo cred to Brenda). This reminded me of my favorite restaurant in Spokane. Tomato Street is a well-known Italian restaurant in the north part of the city that offers amazing food and, just like River City Café, a one-of-a-kind atmosphere. In addition to the cans of tomato sauce that line the walls, the chalkboard stations that are installed around the restaurant, and the servers who take “flair” to a whole new level there is another “experience building” part of Tomato Street. Whenever a family sits down at a table, it is covered in a fresh white sheet of paper. A cleaned out can of tomato sauce filled with color crayons waits upon the blank slate. Customers go nuts letting their inner artist run wild. 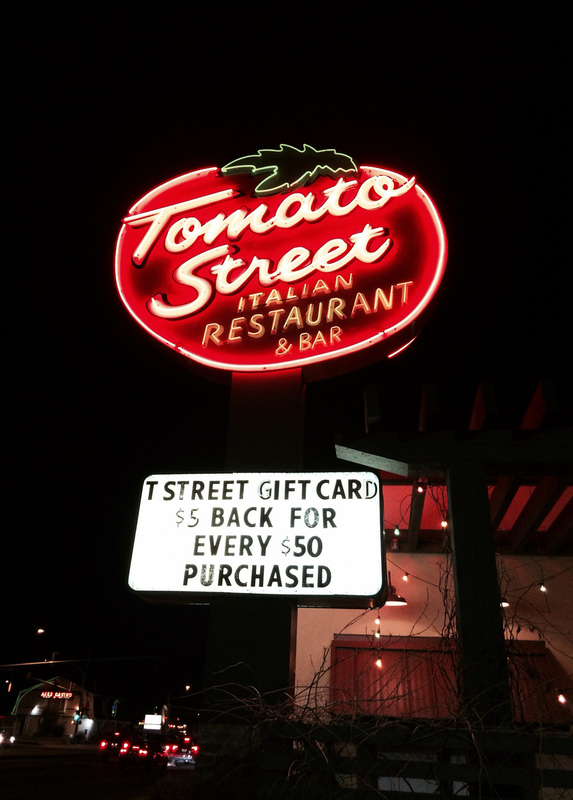 Tomato Street in Spokane is my favorite restaurant. When drawing on a Tomato Street table, you always want to do your best work. Why? Well, the restaurant will take the very best pieces of dinner art and display them in a glass showcase located in the very large waiting area. When we were younger, it was always a thrill for my family to go to Tomato Street and see if the drawings we did on our previous visit made the showcase. Before social media, it was one of the very best and creative examples of user generated content. A drawing my dad did of me a couple years ago at Tomato Street. No, it did not make the showcase. So, what is so special about coloring on the top of a table? Thousands of restaurants across the country do it, right? Yes and yes. However, these days I am surprised that more restaurants don’t do it, primarily because of the phrase I used to end the previous paragraph. Besides being cost effective and besides serving as a way to entertain guests, Tomato Street utilizes paper table covers as a way for customers to help promote its restaurant (aka user generated content). When someone is drawing/coloring at a restaurant, the common tendency is to create something that is somewhat related to that restaurant. It was not a coincidence that the drawings that made the Tomato Street showcase had something to do with Tomato Street. Each piece of art hung was basically a testimonial for the restaurant. Now we are in the age of social media. No longer do these pieces of user generated content need to be sheltered inside the walls of the restaurant for people who are already customers to see. Social media can now take these ultra-creative works of art and broadcast them out to an audience that could potentially reach millions. Forget marketing slogans, forget corporate designed logos, and forget staged photos…table cover art made by actual customers is where it is at! Sure, any restaurant that converts from a traditional table cloth to one that allows customers to draw on it is not reinventing the wheel. The ploy has been around forever. But from what I have seen, businesses have yet to monopolize on this quirky method inside of the digital world. For the Instagram or Facebook account of any restaurant looking for fresh content to post, I think a gold mine awaits with customer produced table art. Don’t Blink.